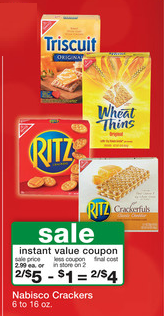 Nabisco Crackers only $1.17 each w/ Coupons! HURRY and print this awesome B2G1 free Nabisco coupon to get an awesome deal at Walgreens! I bet this coupon won't last long!